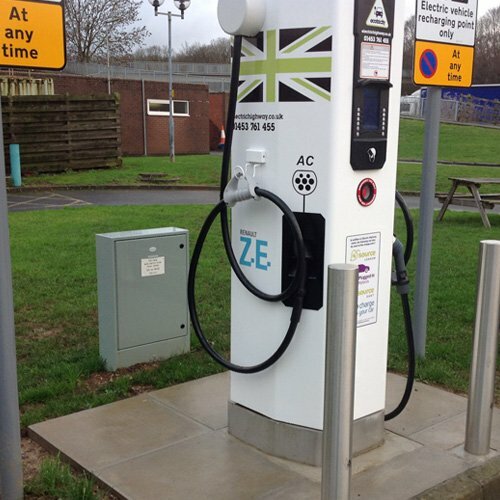 Our EV charging enclosures are part of the EV charging infrastructure necessary for installing an EV charging point. Whether you need something for a new build or for a retro-fit, you can count on Ritherdon enclosures. Multipurpose enclosures made from stainless steel and available in a wide variety of sizes to suit your project. We’ve listed our enclosure from the largest to the smallest units available for your convenience under one page. 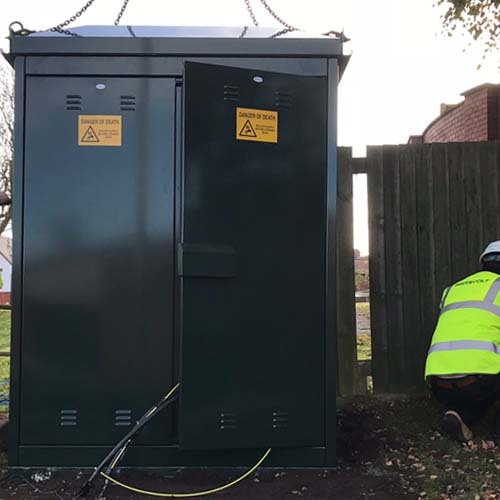 RMC Enclosures – Our largest enclosures are available in various sizes, with different depths and heights to accommodate your electrical equipment within the range. 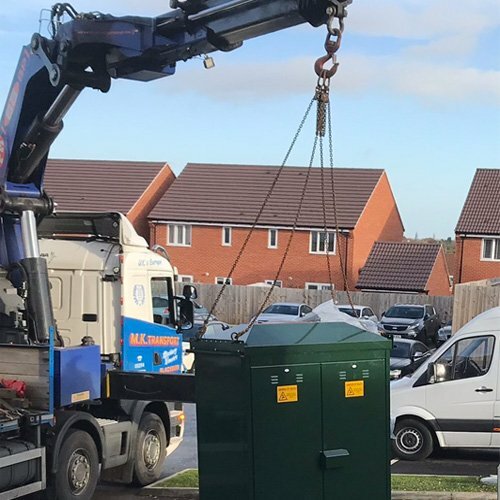 We’ve taken onboard all the customer feedback and we recommend larger enclosures for powering rapid EV charging points to future proof your EV infrastructure. Size matters for Rapid Charging – Ritherdon can manufacture the enclosure to a maximum of 2300 mm wide and 1150 mm deep and as tall as 2292 mm. We are manufacturers and the RMC has been designed to work around customers’ requirements and not the other way around! Please call us to discuss your requirements further. From this range, the most commonly used enclosure size is the single door RB800 and RB1000 cabinets. Typically used to power fast-charging EV pumps. 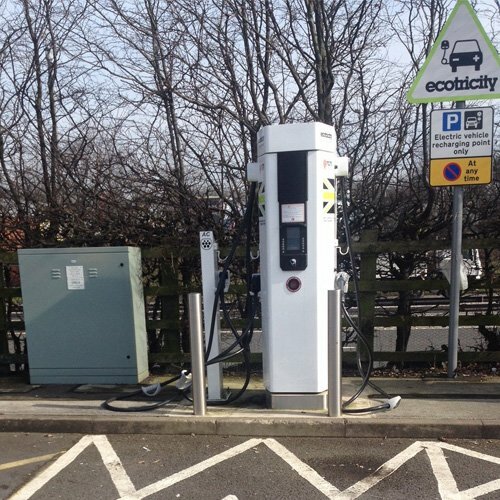 This RB1000 is powering this Ecotricity Electric Highway pump on Jct18/19 in Heywood, Greater Manchester (OL10 2RB). This specific charging point has three types of connectors with a maximum output of 50kW (the connectors available are 2 CCs fast charge, 3 DC, CHAdeMO fast charge, and 3 AC, type 2, 43 kW). TfL has commissioned Ritherdon for EV enclosures to power off-street parking EV charging points at this office parking lot on Chancel Street Railway Arc near TfL Palestra House. From the hinged pillar range – most commonly used sizes of feeder pillars are RH300, RH400, RH500. RH300 installed at Horwich, Bolton as part of the GMEV network. See the charging point on the network map. RH500 is a different style charging point also part of the GMEV charging network with higher voltage power output. Colours Black, dark green, light grey, dark grey or a natural finish. Natural finish only available in 304 and 316 grade of stainless steel. A range of colours and finishes, including graffiti-resistant. Please inquire about the different finishes available. Three-point locking system, with a padlockable handle protected with a padlock shroud. Electrical Plywood backboard plus earth bonding of door. Pre-wiring service available. Atlas Retention Sockets – Ideal companions to protect electrical car charging infrastructure. To protect EV charging points from potential vehicle impacts, bollards are typically installed in front of the EV charge points. To improve installation of new bollards after a collision, we recommend installing bollards using a clever foundation mechanism. The Atlas allows for easy replacement of poles after a knockdown without the need having to excavate. 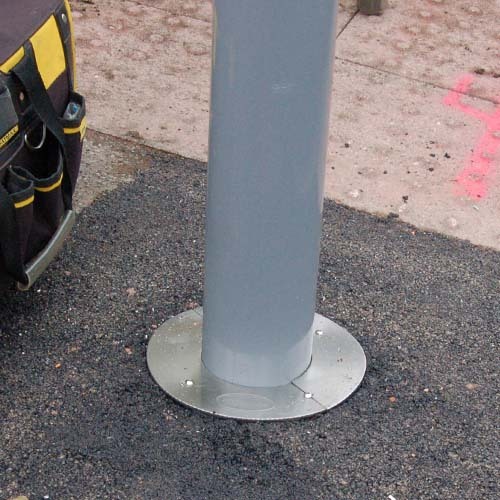 The Atlas Retention Socket provides a secure base for installing the bollards and allows the base to remain accessible in the future.